Sri Kripapureeswarar Temple is a very ancient Siva temple situated at about 25 kms off Vilupuram.According to various stone scriptures this temple is more than 800 years old.The presiding deity is revered in the 7th century Tamil Saiva sacred work, the Thevaram, written by Tamil saint poets known as the Nayanmars and classified as one of the Paadal Petra Sthalams. As per legend, when Siva consumed the poison that came out of churning the 'Paar kadal',Goddess Parvathy did a tapas to prevent the poison affecting Lord Siva. It is said that she built a castle out cow butter and then lit 'panchagni' (five fires-panchagni is four fires lit plus the fire from Sun). As this place was built with 'Vennai'( Tamil for Cow's butter) it came to be known as Vennai Nallur. The Temple: The temple covers an area of over 10 acres. 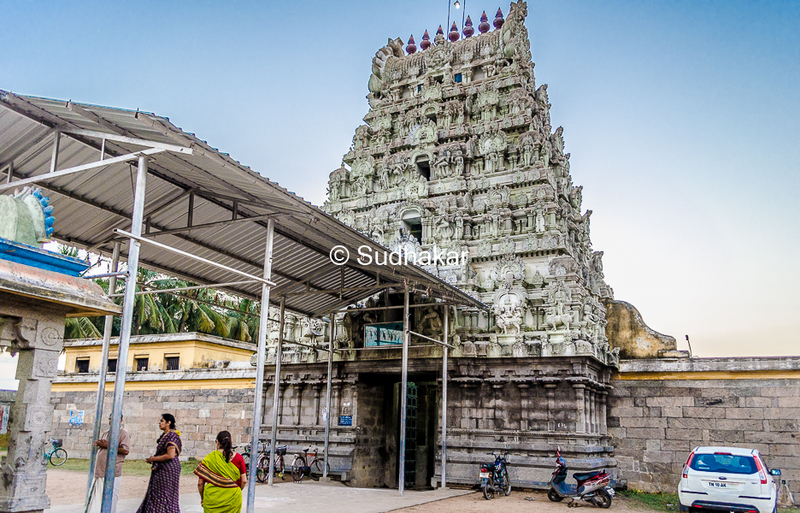 The entrance has a big Rajagopuram with 5 tiers.The temple has two big 'praharams' (corridors). 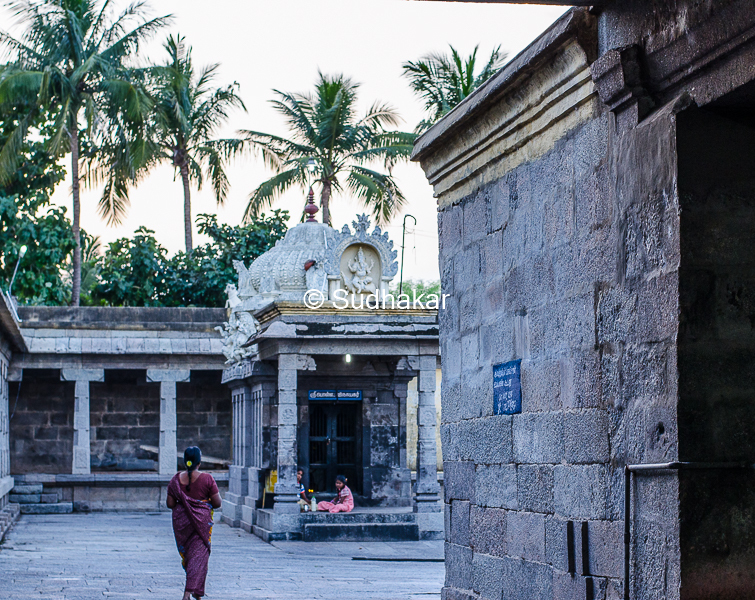 As you enter past the entrance you can see the 'mandapam' (hall) where the poet Sundarar argued with Siva who was in disguise as the old man. Beyond that you can see the copper plated 'Kodi Maram' (flag staff),Ganesha and the Bali Peedam. The main deity Kripapureeswarar is in Linga form and is said to be Swayambu (self manifested) is seen facing east. Nest to this is the sannidhi for Goddess Mangalambigai ,also facing east in a standing posture with four hands.To the south of the temple is the temple tank called 'Thanda theertham'. The Ganesha temple here is called Polla Pillyar,meaning the deity had not touched by any chisel or instrument (pola means to chisel out the granite) and it is a swayambu. Rituals and beleifs Those who are impaired of speech pray to Polla Pillayar to gain speech skills. People light lamps with a mixture of four oils made of ghee, iluppu oil, coconutoil and gingelly oil and pray for getting married, childbirth and other success in life. It is the staunch belief of the devotees that their wedding would materialise if they worship the Nandhi(the bull) with a garland. Festivals On Swathi star day in the month of Aadi ( July-August), a two day festival for Sundarar is celebrated grandly. Ten day Panguni Uthiram with float festival in March-April, Arudra darshan and Margazhi Tiruvadhirai in December-January, Aavani Puttu ( a sweet pudding) festival in August-September, Skanda Sashti in October-November are the festivals celebrated in the temple. Temple Timings The temple is open from 6.00 a.m. to 11.00 a.m. and from 5.00 p.m. to 8.00 p.m.
How to reach? There are buses from Vilupuram town to this place and also, autos,cabs available at a nominal rates. If you drive by your car, you can reach there from Vilupuram in about 30 minutes.